If you haven’t had a chance to catch the previous posts in this series, Dewey Discoveries gives us an opportunity to become more familiar with the books on our shelves here at GPL by looking at all the titles under a specific Dewey decimal call number. Last time we looked at 831: German Poetry. So, let’s move on to 901. A quick search of our catalog shows that of the nearly 100,000 titles available here at GPL, only five of them are under this call number, which essentially covers the topic of why and how we record and look at historical events. Since we don’t have many books in this call number, I suspect our five titles won’t give us a very balanced look at the types of books that would normally fall under this heading, but we’ll make do with what we have. Let’s take a look. 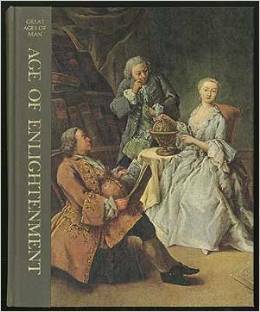 Our oldest book in 901: Age of Enlightenment by Peter Gay (901 G). This book from Time-Life’s Great Ages of Man series was published in 1966 and entered GPL’s collection in August 1971. The book seems like a bit of an outlier to this heading, since it actually covers history directly, rather than really discussing the how and why of historical study. Gay sets out to provide a high-level flyover of the 18th century Enlightenment. Written as it was not too many years before the ascension of postmodernism, it could provide an interesting insight more on the perspectives of American modernist assumptions than on the Enlightenment itself. Our newest book in 901: Ideas that Changed the World by Felipe Fernández-Armesto (901 F). Another introductory survey-level book, this volume hit our shelves in December 2003 and runs through what it considers to be the major milestones of progress in human society since its beginning. Beginning with things like our first use of primitive tools and the discovery of fire and reaching to globalization and the internet, the book looks at every area of society, from food to entertainment, warfare to currency. First book by call number: Ideas that Changed the World – see above. Last book by call number: A Study of History by Arnold J. Toynbee (901 T Vol. I-VI). 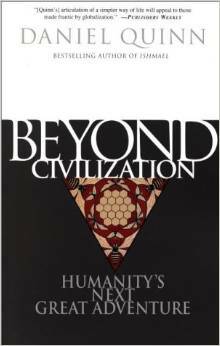 Actually an abridgment of the much longer source material from Toynbee, this book allows readers to get their feet wet with Toynbee’s revered look at the rise and fall of civilizations without spending so long reading it that new civilizations have risen and fallen in the meantime. If you enjoy reading about the history of human civilization, know Toynbee is an important scholar in the field, but don’t want to grow old and die before finishing his original ten volume treatise, this is a good place to start. Quinn looks back at ancient civilizations such as the Mayans and Olmecs who seem to have abandoned their grand societies by choice for more primitive ways of living, and looks ahead to how we might abandon ours for more advanced ones. 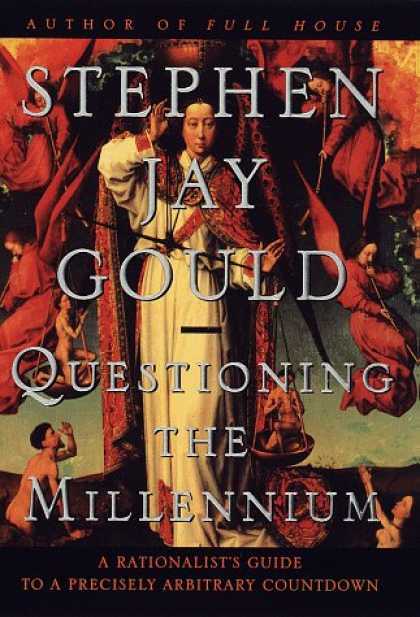 Fourth & Sycamore recommends: Questioning the Millenium: A Rationalist’s Guide to a Precisely Arbitrary Countdown by Stephen Jay Gould (901 G). Popular science writer (evolutionary biology and paleontology most often), science historian, and atheist thinker Gould looks at our perspectives on time and the historical events that have so peculiarly shaped our perception of dates and eras. Published in the last years of the old millennium, the book is the author’s reflections on the end of an era and the strange currents and milestones that arbitrarily marked it as such, all written with Gould’s trademark wit and insight. Curiously, while I was grabbing these books from the stacks, I discovered three more 901 titles that seem to have been removed from our catalog at some point in the past but were never physically weeded from our collection. I’m tempted to pretend some old librarian left these as a meta-joke about how perspectives on the relevance of historical records can change over time, but more than likely someone just got busy and forgot they were there. Ahem. Hopefully, you’ve enjoyed this look at a few out-of-the-way books in our non-fiction collection. If any of them have piqued your interest, head on in and check them out. Let us know what you think of them! You can find all of these books in the Greenville Public Library Non-Fiction Room.